It’s not a grooming problem that’s often discussed but getting sweaty down below is no fun for a man, especially if skin starts to chafe and becomes sore and inflamed. 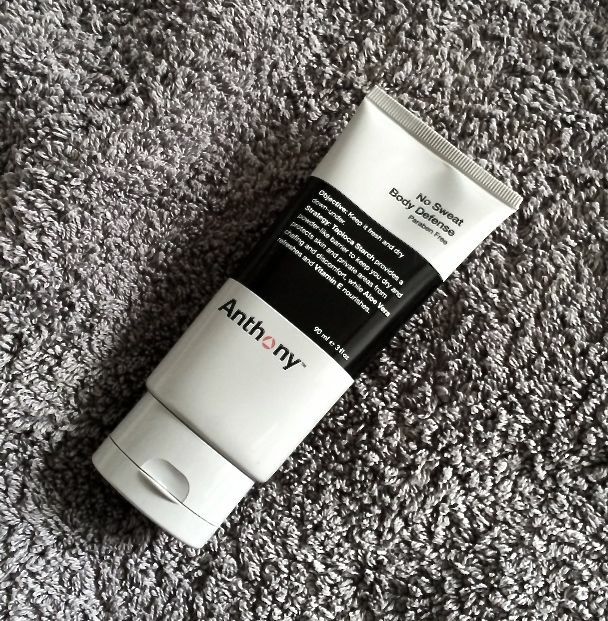 In the last few years skincare companies have realised there’s a market for products that can address this issue, however, and the latest product to tackle the issue of, erm, uncomfortable tackle comes from cult US brand Anthony. A bit like a liquid talc No Sweat Body Defence creates a powder-like barrier on the skin to keep your bits comfortable and dry. It does so with the help of tapioca starch rather than talc and though there’s a fragrance it’s not so heavy that you might come across as someone who’s desperately trying to mask something. Having road-tested it myself (don’t think too much about that) I can attest to the fact that it’s a great way to keep your boys feeling fresh and dry. It does leave a slight powdery residue if you use a lot (wear white pants if you’re worried) but otherwise this is an excellent piece of grooming kit to have in your gym bag or to have at hand if you’re pounding the streets all day or are heading out clubbing after work. Beats suffering from batwing balls* anyway. Anthony No Sweat Body Defense is available exclusively online from SPACENK priced £20 for 90ml.